Sure, it’s winter in New England and the immediate priority is planning what to serve while watching the Patriots play in Sunday’s NFL playoffs. But after all the chicken wings and guacamole have been gobbled up, consider moving on to the next big action item: finalizing your travel plans to Cape Cod. In honor of National Plan For Vacation Day on January 29th, here’s a reminder of why it’s important to commit to using those well deserved vacation days. A survey by Project Time Off reveals that those who remain tethered to their desks and mobile devices instead of taking a real vacation are more stressed and actually less likely to receive raises and promotions. Need more convincing? Did you know that more than half of Americans don’t use all their allotted vacation days? The study found that Massachusetts residents are just as guilty, with 48% of Bay Staters admitting they don’t squeeze out every hour of vacation time. To avoid eating sad lunches at your desk while your co-workers stroll the 40 pristine miles of the Cape Cod National Seashore and ogle breathtaking sunsets, start vacation preparations now. Here’s why: A majority (52%) of workers who dedicate time each year to plan out their vacation end up using all their time off, compared to just 40% of non-planners. Advance planners also tend to take longer vacations. At the Cape, 1-2 weeks will give you time to explore the entire peninsula, including restaurants, entertainment options and the vast spaces of national parks and nature preserves, as opposed to fitting in a few days at the beach over a long weekend. Cape Cod offers cozy options for couples, as well as enough family-friendly activities to keep both you and the kids entertained. While it’s an ideal vacation spot for everyone, you’ll want to nail down the details to ensure the experience you want is the one you end up having. Couples should look for quiet retreats and getaways that offer plenty of privacy and pampering. To escape everyday stress and unplug, a quaint bed & breakfast or historic inn may be in order. There’s a lot to love about summer on the seashore, including gorgeous beaches, cocktails with a view of the ocean, and plenty of active adventures. We may be biased, but we think the other three seasons on Cape Cod are just as spectacular. In September, the weather remains warm, but the majority of visitors have gone home, offering a more intimate feel to your ocean paradise. Late fall provides fiery foliage walks and perfect temperatures to take advantage of a bevy of bike trails and festivals that let you indulge in food and culture. Winter is the perfect excuse to stay inside and enjoy historic inns and crackling fires at cozy restaurants, or to venture out for holiday strolls, bird watching and quiet beach walks. On the coldest days, the lucky few may be able to spot ice formations rolling in on shore. For colorful blooms and warming temperatures, book a spring break. Gardens across the Cape, from backyards to the 100-acre Heritage Museum & Gardens, provide a fragrant carpet of spring flowers and lush landscapes. Whatever the season you visit Cape Cod, book early and be sure to savor every vacation day. A list of To-Dos for 2019 Cape Cod! 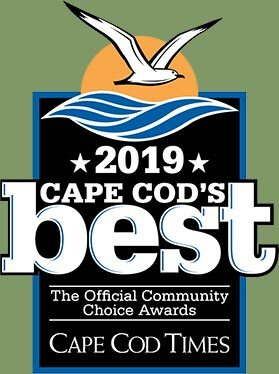 Read moreA list of To-Dos for 2019 Cape Cod! 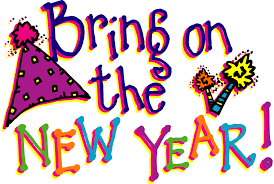 Read moreWelcome the New Year on Cape Cod! Read moreBest Places for Holiday Photos on Cape Cod! Read moreThankful For So Much! Read moreEnjoying The Flats of Cape Cod! Read moreThe Story Behind Scargo Lake! Read moreEnjoy your favorite eatery in the fall! Read moreFall fun on the Vineyard!